Dangerous magicians! Precious gems! Dastardly Plans! Sherlock Holmes is just the man... But what if Holmes isn't the only brains at Baker Street? 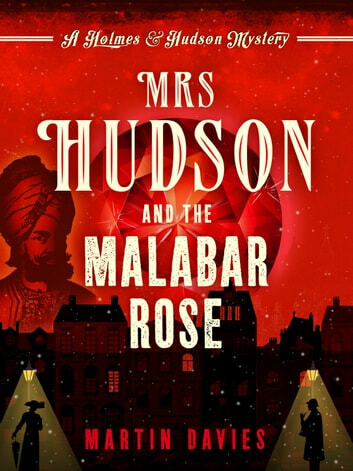 As snow falls on Baker Street, the wintry city is abuzz with excitement: the Malabar Rose – a fabled and enormous ruby – has been sent as a gift to Queen Victoria by the Marharajah of Marjoudh. An extraordinary condition is attached: the gem must be displayed at London’s sumptuous Blenheim Hotel. How can the safety of this priceless jewel be assured? The authorities wisely enlist the help of Sherlock Holmes and his colleague Dr Watson… but fortunately for them, they are also on the receiving end of help from Holmes’s redoubtable housekeeper Mrs Hudson and her able assistant, Flotsam the housemaid. The Malabar Rose isn’t the only exotic attraction stirring up excitement in the city, however. World famous magician the Great Salmanazar will be amazing the lucky few who can secure tickets at a once-in-a-lifetime spectacular. Not only that, but the world’s most beautiful woman – the glamorous, if rather risqué, fire dancer Lola Del Fuego – will be joining him on the bill. With all this excitement and a peculiar disappearance in Ealing, Mrs Hudson and Flottie have their hands full this festive season. Their investigations take in snow-shrouded streets, a toyshop full of wonders, a tumultuous Covent Garden as the New Year rings in and even theatre dressing rooms in Stepney. This fresh twist on classic Victorian mystery will delight fans and new readers alike. Martin Davies grew up in north-west England. In addition to the Holmes & Hudson Mysteries, he is the author of four other novels, including The Conjurer’s Bird, which sold over 150,000 copies and was selected for the Richard & Judy Book Club and Havana Sleeping, which was shortlisted for the 2015 CWA Historical Dagger award. He works as a consultant in the broadcasting industry. Loved the book, written well. Conan Doyle would be proud! 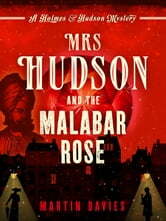 Mrs Hudson and the Malabar Rose. Witty and engaging story-telling that sweeps readers on to a finale with flourish. A light and pleasant read. It is a page turner being both funny and intriguing with the added insight to a bustling London at the time.